You really can’t argue with The Black Crowes retro sounding, bluesy blend of hard rock and jam band sounds. This is just plain killer music. Live performance is certainly where the group really shine and this new album showcases them in that venue. I’d say it’s not as strong as the earlier one I reviewed at MSJ, Freak ‘N’ Roll...Into the Fog…, but it’s still pretty darned good. They kick straight in with a hard rocker that’s got a definite Stones vibe to it. This is a lot bluesier and grittier than the opener. It’s slower and more of a real groove. A bit like the Crowes meet The Band, this has more of a country texture to it. It’s a lot less crunchy than the previous pieces – and yet still has some of that edge. The organ sound on this is especially noteworthy and it’s another killer Crowes hard rocker. I can hear plenty of the Allman Brothers on this jam. This slow bluesy rocker has a bit of a Zeppelin feel. It also has a cool piano solo. There’s also an extremely tasty guitar solo section that again makes me think of the Allman Brothers. There’s more of a soulful R&B type groove to this jam. It’s another killer tune that’s quite bluesy. The opening movement on this is more like a proggy psychedelia. 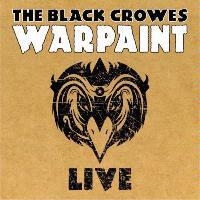 As they build up it takes on a more standard Black Crowes texture, but those sounds remain. As it continues that classic Crowes sound does dominate more and more of the track. Here’s another soulful groove. This has some killer slide guitar and a very classic rock oriented chorus. It’s one of the catchiest cuts here. This old school gospel type tune really stomps as delivered Black Crowes style. Starting acapella the drums rise up from there and then they take us out with some keys added to the mix. As it continues to build this becomes one of the more purely melodic and evocative cuts on show. There are moments that remind me of the Allman Brothers here. Overall it’s just a very strong (if less rocking) number from the Black Crowes. It’s one of my favorites of the set. This starts off acoustically in a gospel sort of motif. It builds up into a serious rocking number as they carry on. This smoker is without question one of the highlights on the set. It’s got some killer instrumental work and great vocal harmonies and a lot of soul. The bluesy slide guitar sound on this reminds me of Zeppelin’s “In My Time of Dying” quite a bit. This is a killer jam that is trademark Black Crowes in many ways. They don’t reinvent anything here, but this killer retro rocker really rocks out quite well. Here’s a soulful, bluesy R&B tinged Black Crowes rocker. This cut really feels very much like the bluesy, countrified side of the Rolling Stones. They bring it back into the hard rocking range with this killer tune. It’s got a lot of energy and power and is very much classic Black Crowes.